Feel the play of the long board with Venture's scaled down version. You will appreciate the exceptional quality construction of this smaller unit. 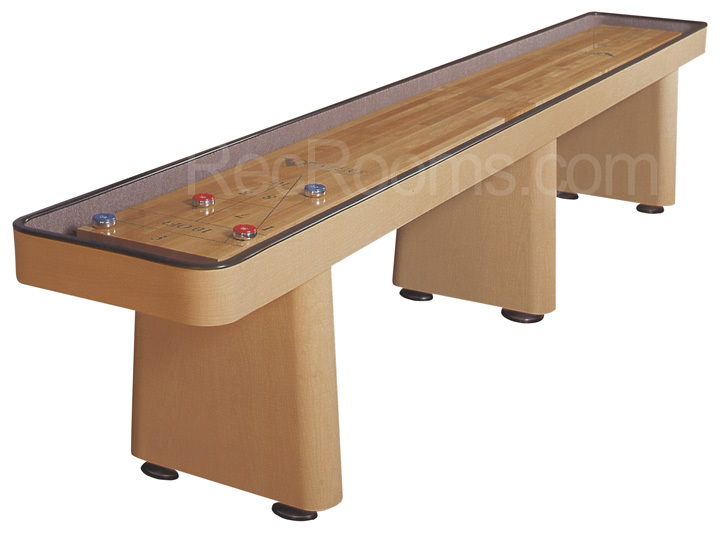 This well styled shuffleboard is an excellent choice for any family game room. Hard rock maple playing surface is 1-3/4" thick and is coated seven times with a hard clear synthetic lacquer, for ultimate durability and smoothness. Traditional 1-2-3 scoring comes standard. Triangle scoring is optional. Cradle is built out of 3/4" Fir plywood and covered with "Fusion Maple" high pressure laminate. "Wild Cherry" laminate is optional.